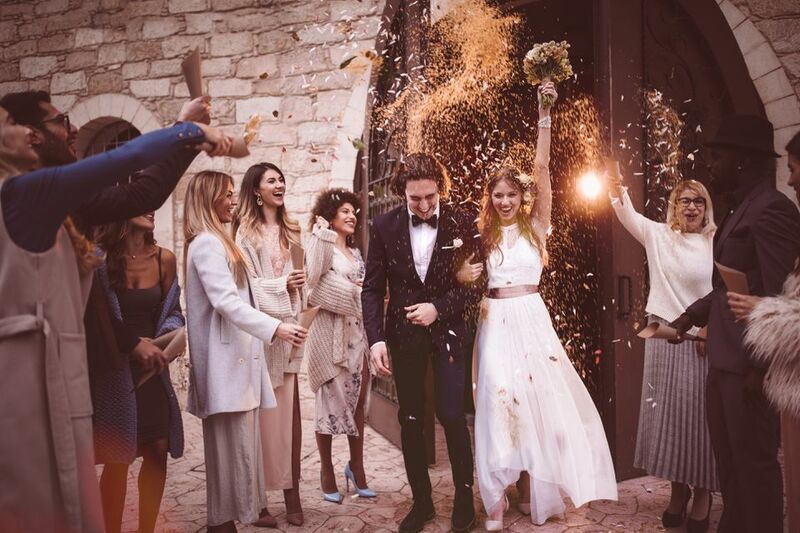 Free wedding invitation samples are mailed out by many of the companies that print wedding invitations so you can get an actual look at the design, color, and the paper for invitations you may consider using for your wedding. These wedding invitation samples will also give you some design ideas if you plan to make your own wedding invitations or send one online. They're also great examples to help you with the wording on your final invitations, no matter where you decide to order them from. All of these wedding invitation samples are free with free shipping. In the descriptions, we've noted how many samples you can request and if you need a promo code during checkout. A few of the websites will require you to enter your credit card information even for an order that totals zero. Tip: You won't be able to personalize most of the wedding invitation samples, they'll come with sample text or a blank area where the text would go. If you're serious about ordering from one of these companies and would like a proof with your wedding details, we recommend calling or emailing them to see if they'll send you a complimentary sample. Wedding Paper Divas will mail you free wedding invitation samples in 8 different designs that you get to choose from their complete collection of invitations. You'll get to choose the design, custom colors for the design and text, fonts, and even the type of paper you'd like them printed on. In addition to free wedding invitation samples, Wedding Paper Divas will also send you samples of matching response cards and envelopes. Click the Order Sample button under an invitation you like and you'll get a pop-up box so you can choose the design and paper type. Once you have your free samples added to your cart, use the code FREETRY. You'll get the free wedding invitation samples mailed to you USPS First Class for free, with no shipping cost. No credit card information is required. Minted mails out free wedding invitation samples in your choice of design. You'll also get to pick design color and paper type. Hover over the invitation you'd like to request and click quick look to bring up the pop-up box. Click on order sample at the bottom of the box and then choose your type of paper and color. After you've chosen which free wedding invitation samples you'd like to receive, enter the code 10FREE during checkout. Free shipping is included. You will need to enter your credit card information for this freebie. Make sure that the order says $0 before you submit it. Instead of the individual samples, you can also request a free wedding sample kit that includes five designs, plus swatches of their paper. Click on a wedding invitation you like and then use the Order a Sample button to add that sample to your cart. Your order of wedding invitation samples will be mailed to you for free, shipping included. You are not required to enter your credit card information. Elli will ship you one free wedding invitation sample or save the date sample that comes with an envelope, matching response card, and response card envelope. You'll need to enter the code 3FREE during checkout to get a sample of your chosen design. Shipping is free and no credit card information is required. Additional samples can be ordered from Elli for $1 each. 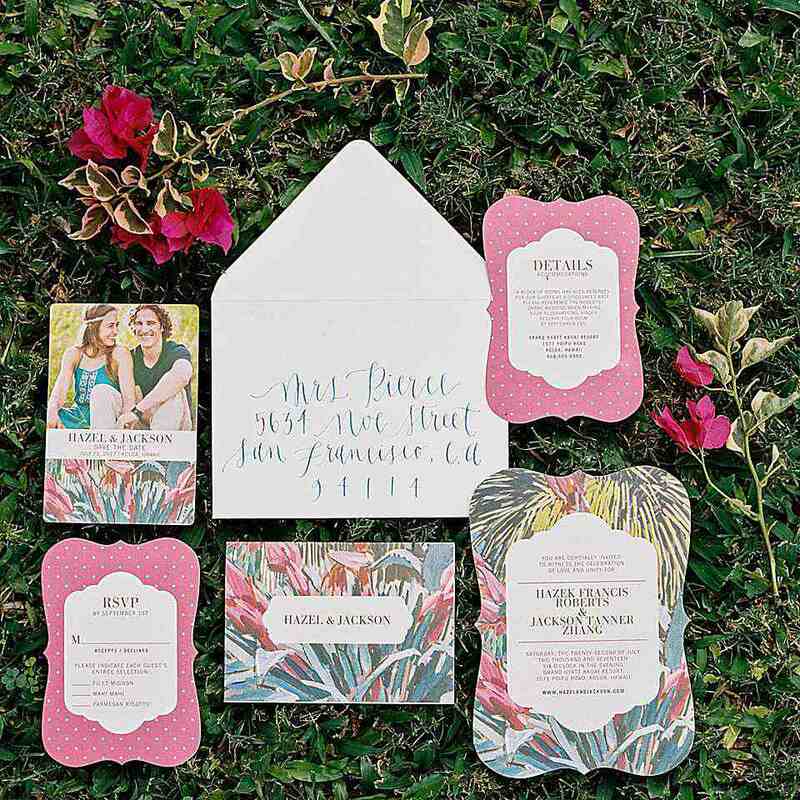 Wedding Paperie will send you a free wedding invitation sample kit of some of their most popular designs. This is a great way to get a look and feel of some wedding invitations if you really don't know what you want yet. Wedding Paperie also lets you personalize any invitation and order it as a sample. This way you can check all the colors, photos, and paper quality to make sure you like it before you submit your full order. At Basic Invite, you can order a wedding sample package. Included will be a custom wedding invitations of your choice, a save the date postcard, a belly band, an envelope, and a color chart. Use the code 3FREE to get this wedding invitation kit mailed to you for free as long as you're in the U.S.
MagnetStreet is has some unique wedding invitations that are all printed on magnets. You can get a free sample pack 3 free wedding invitations and a swatch of your wedding colors. Vistaprint has a free wedding invitation sample kit that includes various invitation samples in different finishes and sizes, a lookbook, and coupons toward your purchase. These free wedding invitation sample packs are available in the U.S. and Canada. Pick any 5 wedding invitation designs out at The American Wedding and they'll ship you samples of them for free. Click Order Sample after you've chosen which wedding invitation sample you'd like and then add that invitation to your cart. No discount code is required. Look Love Send will send you as many free wedding invitation samples as you'd like. They even include a matching response cards and envelopes. No promo code is required and the samples will ship for free. You'll still need to enter your credit card information.